Wayne Roberts - Wayne Roberts is a Canadian food policy analyst and writer, widely respected for his role as the manager of the Toronto Food Policy Council, a citizen body of 30 food activists and experts that is widely recognized for its innovative approach to food security, from 2000-2010.Since retiring from the TFPC in 2010, Roberts has been on the board of several North American food organizations, including FoodShare, Community Food Security Coalition, Food Secure Canada, Unitarian Service Committee, Sustain Ontario and Centre for Sustainable Food Systems. As a leading member of the City of Toronto’s Environmental Task Force, he helped develop a number of official plans for the city, including the Environmental Plan and Food Charter, adopted by Toronto City Council in 2000 and 2001 respectively. 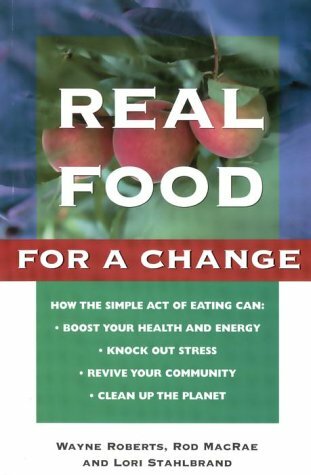 Many ideas and projects of the TFPC are featured in Roberts’ book The No-Nonsense Guide to World Food (2008).In 2002, he received the Canadian Environment Award for his contributions to sustainable living. NOW Magazine named Roberts one of Toronto’s leading visionaries of the past 20 years. In 2008, he received the Canadian Eco-Hero Award presented by Planet in Focus. In 2011, he received the University of Toronto Arbor Award for his role in establishing food studies as a field of study at University of Toronto.Since he started work in this area, the number of food policy councils has jumped from three to over 200, including Bristol, England and Rotterdam in The Netherlands. Roberts calls food councils "the fastest growing trend in local government politics of the past decade"